duoMatrix®–C is new polymer additive that enhances the physical and performance properties of cementitious materials such as portland cements and mortars. duoMatrix®–C (Matrix®-C for short) eliminates the need for the usual 7-day post cure. It drastically reduces water and salt absorption and fills in micro cracks to minimize crack propagation. Other performance characteristics include greatly enhanced freeze/thaw, ultra-violet, and chemical resistance. Higher flexural strength reduces brittleness. Matrix®-G is available to enhance the performance of alpha-gypsums. 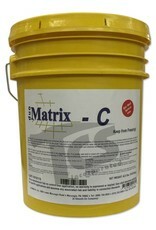 Matrix®-C is easy to use and can be introduced to any aggregate mix. It is usually cast solid or mixed with chopped fiber and sprayed. Matrix®-C can be pigmented and improves color uniformity. 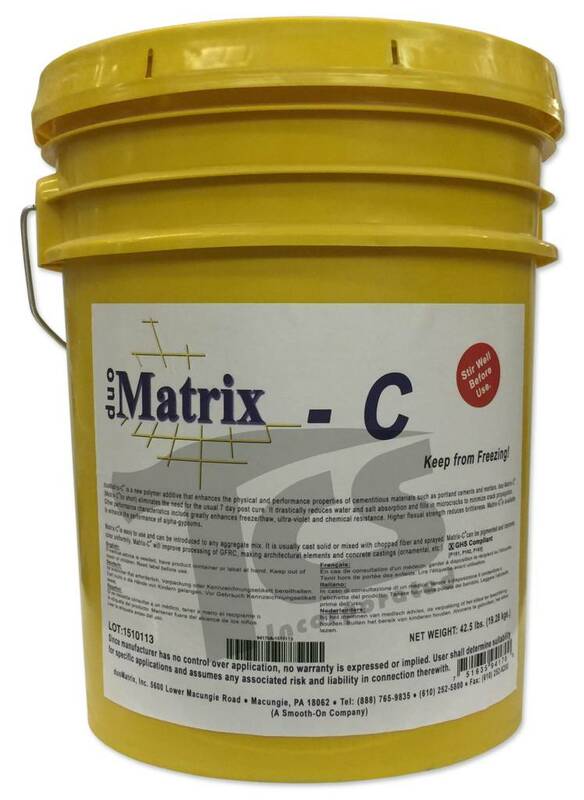 Matrix®-C will improve processing of GFRC, making architectural elements and concrete castings (ornamental, etc.) more durable. Parts By Weight Important: Components must be mixed in proper sequence. A power mixer should be used to mix all components. PROCESSING RECOMMENDATIONS Mix Ratio for GFRC: Specific Volume: 1.06 g/cm3 Pot Life: 45-90 min. Demold time: 16 hours Density: 100-130 pcf Tensile Strength, psi: up to 900 Flexural Strength, psi: up to 5,000 Compressive Strength, psi: up to 13,000 Freeze/Thaw Resistance: 300 cycles Permeability: 1,200 coulombs Maximum values obtained after 28 day cure. Mix Throughly Water Matrix®-C Working Time 90 min. Demold Time 16 hrs.